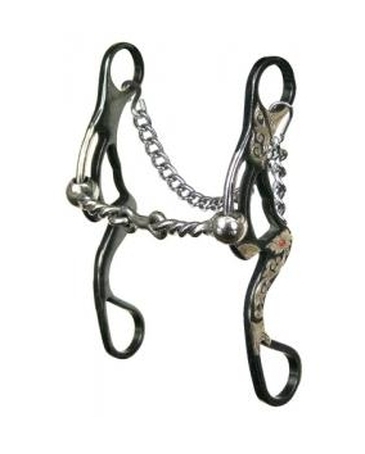 This bit is designed for the middle age competition horse. 1 gag action with the new "no pinch" ball hinge. This bit works well on a horse who wants to shake his head when you pull on him. 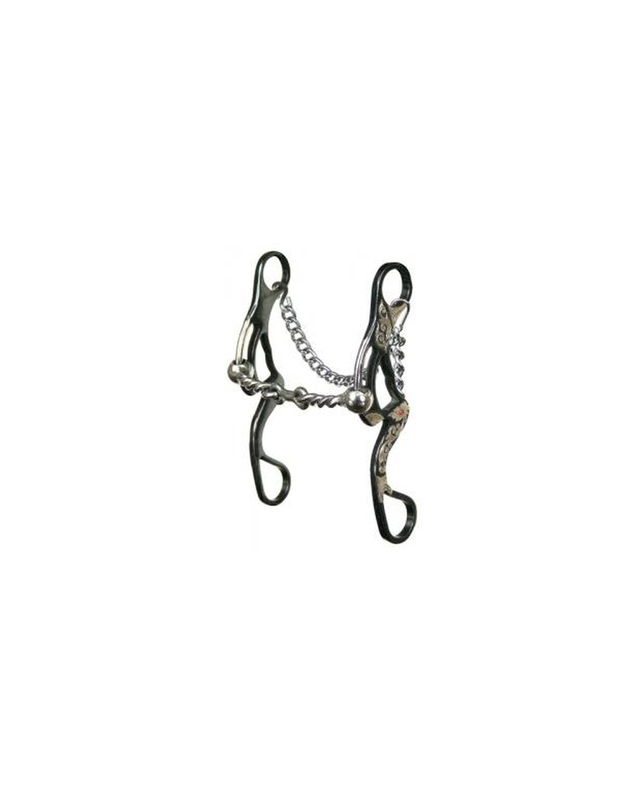 It will allow you to help a sensitive horse in the turn. Gorgeous floral silver overlay with red stone accent on cheek.